Using Lego kits students will learn through experience, collaborate with their classmate, think creatively and it will increase students learning power. Lego bricks can be assembled and connected in many ways, to construct robotics machine which can perform various work. Robotics learning will challenge students to apply math and science concepts to real life problems. We have well designed curriculum for each class. Lego Education offers unique solutions to teachers who bring more innovation and creativity to their classroom practice. 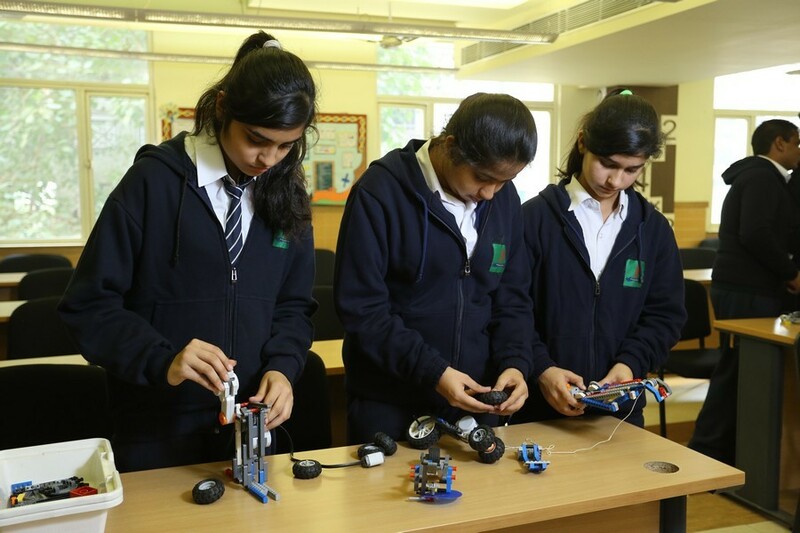 Robotics learning system covers all four fields-STEM(Science, Technology, Engineering and Mathematics) through hands on learning. This allows students to take a more active role in their learning; the courses provide students with hands-on experience through practical workshops, information about ways to optimise classroom management of resources, and tools for curriculum planning.